It’s been a while since I’ve updated, but today I have some great news. We just released a new app called “Pilot Log”. 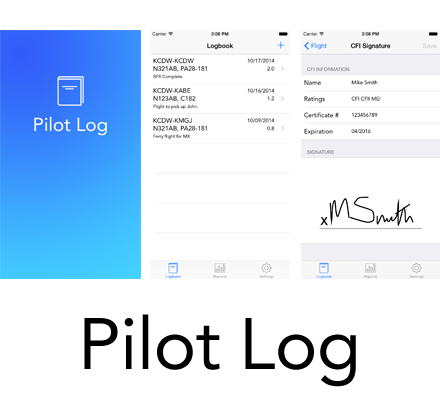 Pilot Log is an easy to use electronic logbook. We make it very easy to enter your flights, but also export the data in case you need to go back to a paper version of your logbook.